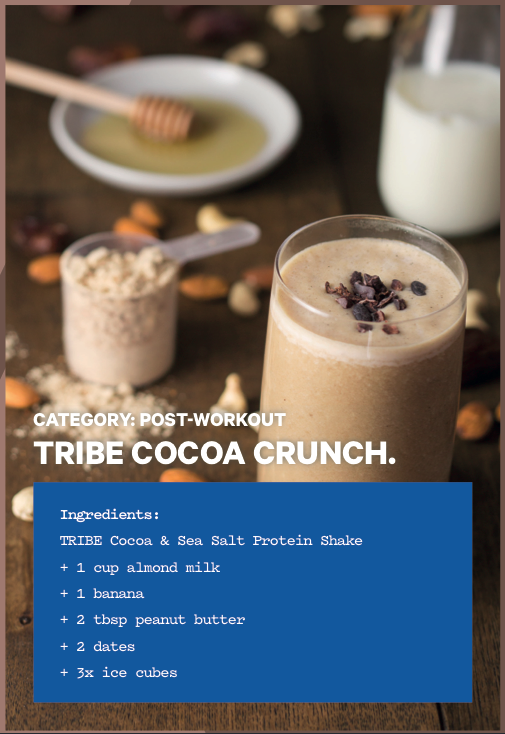 TRIBE are launching 3 delicious TRIBE Protein Shake flavours at the TRIBE Shake Shack Pop-Up in Shoreditch this November; an on-the-go recovery drink that provides 20g Protein per Shake, is delicious mixed straight up with water or added to a smoothie and is 100% natural. WE ARE ON A MISSON TO DESIGN THE ULTIMATE TRIBE PROTEIN SHAKE AND WE NEED YOUR HELP! ENTER COMPETITION HERE to unlock your promo code to order a TRIBE Shake 12 Pack - including all 3 NEW Shake flavours - for just £12 (usually £18 - that's 33% OFF)! 1 winning LIMITED EDITION Shake will be served @ TRIBE Shake Shack this November! IT'S TIME TO DESIGN THE ULTIMATE PROTEIN SHAKE... GET CREATIVE!